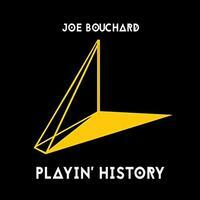 Joe Bouchard is best known as one of the members of the classic lineup of Blue Oyster Cult. You wouldn't really need to know that if you heard this album. That's because this album sounds very much like a long lost BOC disc. On his last solo album, Bouchard redid some BOC material. He doesn't have to do that here because this is quintessentially like something you would expect from his old band. They haven't released a new album in quite a while. This is the next best thing to being there. I heartily recommend it to anyone who has ever enjoyed Blue Oyster Cult. You will not be disappointed. Coming in with a bit of a keyboard element, as this kicks into the song proper it really feels like a long lost BOC tune. This has the usual BOC magic of killer musical arrangement, catchy hooks and a sense of mystery. The fast paced jam at the end of the track is classy and classic. I can't imagine a better opener. Another that seriously lands in BOC territory, this is a bit mellower. It's no less dramatic, though. Powering in with a particularly meaty riff driven sound, this is one of the best tunes here. It still has a lot of that BOC vibe. The progression of this cut is organic, but the cut covers a lot of territory. I love everything about this one. It's just so catchy and meaty. A mellower, dreamy vibe makes up the concept to this cut. This has some particularly dramatic slide guitar built into it. To me this feels like what you might get if you merged a ballad from modern Hawkwind with BOC. Trust me, that's a cool thing. The keyboards that open this make me think of Deep Purple. It shifts out a distinctly BOC like jam with the killer guitar lines that follow. This is another that could pass as a long lost BOC tune. More of a straightforward rocker, this is fun. It's a nice change of pace, too. It's not my favorite thing here, though. Don't get me wrong, it's catchy and solid. There is just so much music on this disc that's more interesting. That said, this manages to showcase some great guitar soloing. There is a definite folk rock vibe to this. In some ways it makes me think of what you might get if you merged Thin Lizzy with Blue Oyster Cult. Keyboards open this in style and hold it for a time. 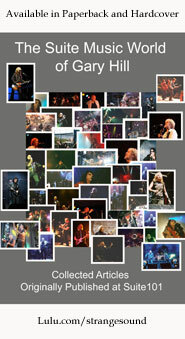 Other elements enter gradually creating an intriguing progressive rock styled soundscape. It's almost a minute in before we get any vocals, coming in over the top of this cool backdrop. This cut works through a number of changes and definitely calls to mind the proggier side of BOC. The hard rocking echoey guitar bit later in the number is classy and heralds a harder rocking remake of the song's main themes. Again this feels like a long lost BOC rarity. It's more in the mainstream rock style of that category. It's another great tune. Set more along the mysterious lines of old-school BOC, this is another sheer winner. It's dramatic and potent. This is not a big surprise of any kind, but it is exactly the kind of thing BOC fans love to hear. It's a great closer for a strong album, too.